Hotels.com is part of the Expedia Group of online travel booking services, listing a wide variety of accommodation options worldwide. Stay on top of your online reputation with 5starRocket. Our robust online review management features allow you to stay on top of your online reputation with review management tools you can customize to your needs. Learn More. Listing your property on Hotels.com requires registration, a contract, and payment. If you would like to learn more about the process, start here. This page is where you would fill out a short registration form. After that, you will be contacted to discuss the services they provide in general, and your payment and contract specifically. It is easy for potential clients to access reviews on the Hotels.com website. When someone clicks on your listing from the search results, they will quickly see basic listing information, photos, and the reviews section. The reviews section displays the overall Hotels.com rating, with number of reviews, as well as the TripAdvisor rating and number of reviews. They can click there to read reviews. At the bottom of the homepage, click on Support and FAQs, which will open up a drop-down menu. Review a Property is included in this menu. The booking must have been made and completed through Hotels.com in order to write a review. This page provides more information about how the reviews system works. The reviewer will then be prompted to sign-in to their Hotels.com account, or sign-in with Google or Facebook. If they sign in with Google or Facebook, they are still required to have a Hotels.com account and may be asked for their Hotels.com account password. 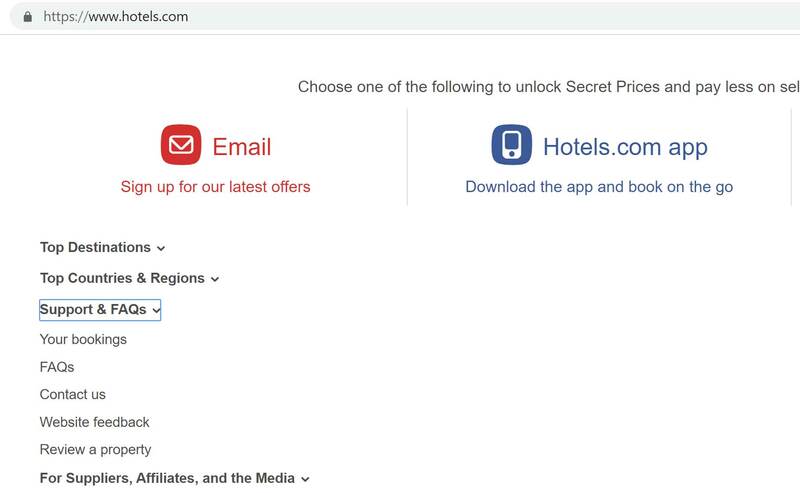 Alternately, if the reviewer is already signed-in to Hotels.com, they can click on their profile name in the upper right hand corner of the screen. This will display a drop-down menu where Review a Property is an option. Final thoughts: Hotel.com is a trusted site among travelers with over 44 million visitors in November 2018 alone. Many of these travelers are making their final decision based on reviews from fellow travelers. With 5starRocket’s online review management, you are able to stand ahead of the pack and get that competitive advantage.